DRACULA broadcast LIVE to cinemas for Halloween, Northern Ballet’s thrilling adaptation of Bram Stoker’s classic horror story is a unique blend of gripping theatre, Gothic sets and sensuous dancing. With darkly Gothic sets and costumes, Northern Ballet is resurrecting Bram Stoker’s classic horror story for special LIVE screening at the OMH this Halloween. The haunting tale of passion and immortality is played out through a unique blend of sensuous dancing and gripping theatre - this is ballet with a dramatic bite. 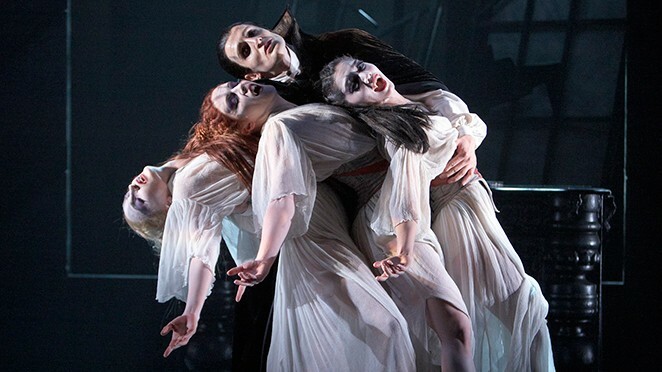 Created by Northern Ballet's Artistic Director David Nixon OBE, with atmospheric music by Alfred Schnittke, Arvo Pärt, Michael Daugherty and Sergei Rachmaninov, Dracula is a thrilling adaptation that will leave you thirsty for more.